Eye On Sports Media: Win a Maserati From Randy Cross and Help Families With Seriously Ill Children! Win a Maserati From Randy Cross and Help Families With Seriously Ill Children! Do you ever dream of owning a Maserati? Or an all-expenses paid trip to the Super Bowl? 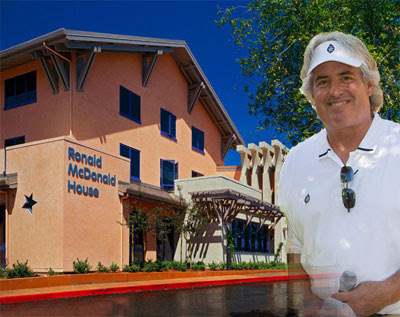 Wouldn't it even be better to have a chance of winning one of these prizes while supporting a great cause, the Ronald McDonald House at Stanford? Well you can through the 25th Annual Randy Cross Invitational Golf Tournament being held next Monday, June 8, 2009. While I will be posting my interview with Randy about this event later today, I thought I would give readers a jump start with this information. on Monday, June 8, 2009. You don't have to travel to Silicon Valley in California to win. You can just by one of the 2,500 raffle tickets for $100 on the tournament web site.